If you're using Outlook for Mac or accessing the Outlook Web App from your browser, you can use the SuiteFiles Outlook app to save emails and attachments to SuiteFiles, attach files from SuiteFiles when creating new emails and more. 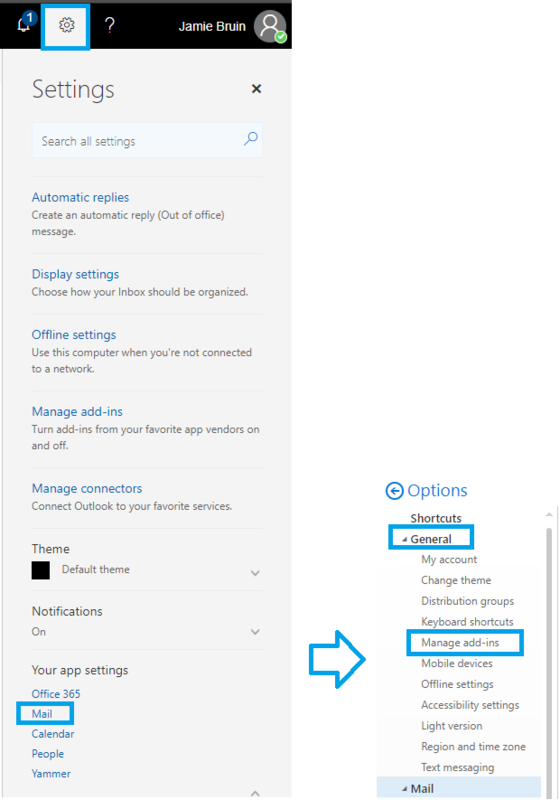 If you're a Windows user with the Outlook desktop app, you can use the Outlook add-in for Windows. This SuiteFiles Outlook app is different to the SuiteFiles Outlook add-in for Windows, as it's attached to your Office 365 login This means once it's enabled it will be available to use wherever you login to Outlook for Mac or access the Outlook Web App from your browser. Tick the box for SuiteOutlook under the column Turned on. If you cannot see this in your list of options, please contact the SuiteFiles support team at support@suitefiles.com. The SuiteFiles Outlook app will now be enabled for you. For step by step instructions, see Outlook for Mac or the Outlook Web App in the browser.